Why Luxor was chosen to be the capital of arts and culture? 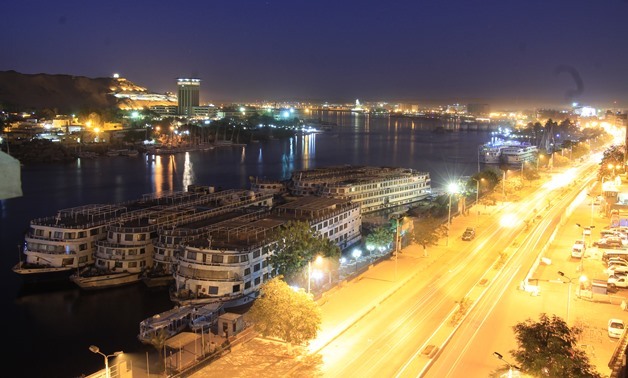 CAIRO – 11 March 2018: President Abdel Fatah al-Sisi approved Luxor becoming the capital of arts and culture. From March 15 to March 18 arts and culture in Luxor will be celebrated, according to a statement released by the Cairo Opera House on Sunday. The four-day period will be celebrated through various cultural activities across several villages and cities in Luxor. The events are conducted as a collaboration between Culture Minister InasAbdeldayem and Luxor Governor Mohamed Badr. The city of Oujda in Morocco will be the next capital for arts and culture in the MENA region, the statement read. Mohamed Mounir is set to perform at the Karnak Temple on March 18 as part of a ceremony celebrating Luxor being the Arab Cultural Capital for the year 2017, before handing the Arab Cultural Capital flame to Oujda, Morocco for 2018. The Arab Cultural Capital is a title given by the standing Committee on Arab Culture, which is a committee chosen and agreed on by the ministers of culture in all Arab countries. The title is given to a different city of a different country each year, as it aims to encourage cultural exchange and expand cultural activities in the Arab world. Abdel Dayem organized a huge ceremony to hand the Arab Cultural Capital flame from Luxor to Oujda, and she invited famous Egyptian folkstar Mohamed Mounir, known as "The King", to perform a special show for the historical event. Luxor is a worldwide famous city in Upper Egypt known to be the home of intact ancient Egyptian temples that date back almost 4,000 years. Luxor alone has one third of the world's ancient monuments such as the Karnak Temple, Luxor Temple, Valley of Kings, Valley of the Queens, and the Temple of Deir al-Bahri. There are a large number of ancient monasteries, graves, ancient Egyptian temples, and numerous monuments that attract tourists from all around the world to Luxor. The renovation of the Pharaonic Kebbash Road is considered a monumental moment for Luxor, as the project will bring the great road to life again. Its new design is set to change Luxor's position on the touristic map, as it will become the longest gangway and open museum in the world. It is expected that the new makeover of Kebbash Road will attract tourists from all over the world over and play a vital role in pushing the Egyptian tourism sector forward. Kebbash Road will be reopened by the second half of 2018 after its renovation, after having been halted for six years, the project will soon be finished. In Ancient Egypt, Kebbash Road connected the Karnak Temple Complex with the Luxor Temple. During the time of the Pharaohs, the road was one of the most important, as it hosted ceremonies and festivals. The road was opened to the public for the first time in March 2013 by the Minister of Tourism. Although Kebbash Road is 2.7 kilometers long, a walk through it is enjoyable as there are around 1,200 statues lining one side of the road, each resembling the Sphinx (where the head is that of a ram and the body is that of a lion) and sculpted from sandstone. This meaningful decoration is dedicated to Amun, as the head of the statues are in the form of the god's while the rest of the statue — the body of a lion — is a means of protecting Luxor and the temples from looters.The city enjoys a central geographical location amongst the governorates of Southern Upper Egypt and is considered Egypt's southern portal to Africa as well as the commercial gateway between the Red Sea governorate and Upper Egypt. The sources of attraction in Luxor are not only ancient,there is a modern side that the government is paying great attention to developing, which is Luxor's Corniche. Luxor is 670 kilometers south of Cairo, so anyone can easily go on a journey by train through the desert, which will take about nine to 11 hours. Travelling by plane will take around one and a half hours. As far as accommodation, there are various kinds of five-star hotels, cruises, local hotels, and rental apartments.